SUPERNAP International is developing the project in partnership with a group of leading Thai organizations, including CPB Equity, Kasikorn Bank, Siam Commercial Bank and True IDC. Executives from Kasikorn Bank and Siam Commercial Bank say the development of the SUPERNAP Thailand data center will enhance the banks’ use of technology to better serve their customers and provide a homegrown solution for Thai companies that seek to expand their IT capabilities. The new SUPERNAP Thailand data center will cover an area of nearly 75 rai or 12 hectares and will be strategically built outside the flood zone, 110-meters above sea level and only 27 kilometers away from the international submarine cable landing station, which links the facility to national and international telecoms and IT carriers. The data center will be supported by two separate and newly-installed power sub-stations in order to provide additional redundancy and resilience to the facility. 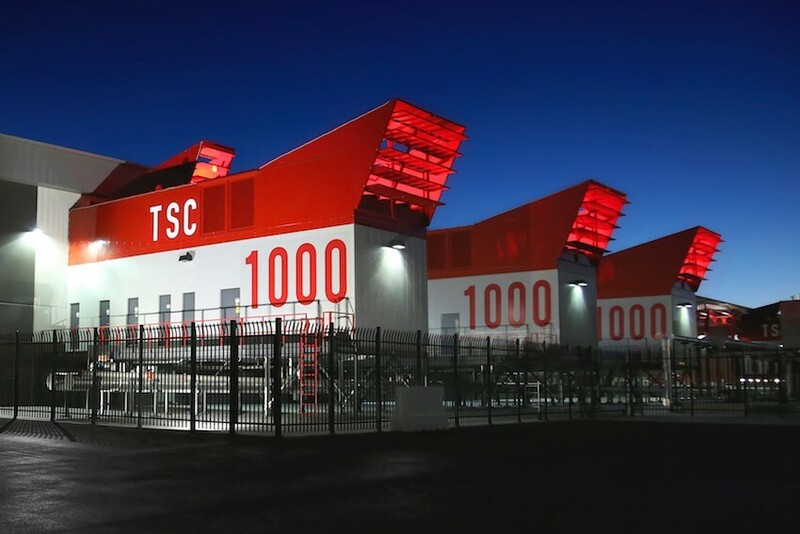 SUPERNAP International has established itself as the globally recognized leader in data center design, superscale cloud campus, unparalleled telecommunication gateways, and industry-leading sustainability. SUPERNAP International is the exclusive licensee outside the U.S. of the 218 patents and patents pending in data center technologies held by Switch SUPERNAP Founder and CEO Rob Roy. In addition to SUPERNAP facilities being the first and only carrier-neutral colocation data centers to be certified Tier IV Gold in Operations by the Uptime Institute, SUPERNAP data centers meet and exceed the standards of IEEE, ANSI, ASHRAE, 24/7, ISO 9001, SAS 70/SSAE-16, BICSI and the Green Grid Association. SUPERNAP has more than 1,000 clients with the likes of eBay, Intel, Dreamworks, HP, Intuit, Hitachi, Sony, Boeing, Cisco, Google, Amazon and Time Warner. True IDC, part of the Ascend Group, who is closely linked to the digital economy in Thailand and is overseeing expansion of Ascend Group and True IDC in the ASEAN region, regards SUPERNAP Thailand as an opportunity to obtain a prestigious roster of clients in the country and local region. SUPERNAP International holds the exclusive rights to design and build SUPERNAP data centers outside the United States, with the precise aim of bringing breakthrough innovation to the construction and use of data centers throughout the world. The SUPERNAP International growth model is driven by the industry’s need for presence in multiple geographical zones, worldwide innovation, redundancy and intelligent design. Partnerships with local leaders, like-minded visionaries and established companies enable SUPERNAP International locations to remain community-focused and beneficial to local economies. Visit supernapinternational.com for more information. SUPERNAP Thailand is a joint venture among SUPERNAP International, CPB Equity, Kasikorn Bank, Siam Commercial Bank and True IDC. The company was established under BOI promotion scheme in 2014. SUPERNAP Thailand is developing its first Tier IV Gold data center in Asia Pacific at Hemmaraj Industrial Estate, Chonburi, Thailand. The facility has capacity for more than 6,000 data server racks and is expected to be finished in early 2017. Visit supernap.co.th for more information.